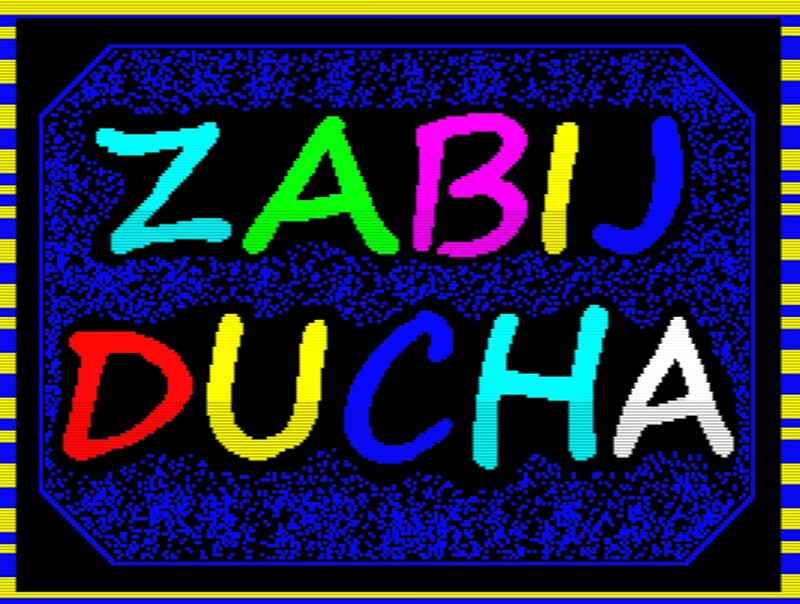 It's a Friday and what better way to spend the end of the week and through the weekend, than playing the latest ZX Spectrum game called ' Zabij Ducha (Kill Ghost)' by Polish developer Ralf. Classed as an endless platformer, or runner for some, you play as a little guy who has to jump nonstop from platform to platform while both avoiding and shooting at ghosts until they are all gone. Just be careful not to fall off, or you may end up as a ghost yourself! To tell you the truth I'm not a fan of games like this, I was never a fan of Flappy Bird style games either, as these type of games force you to make a constant decision with no stopping. However Zabij Ducha isn't a bad game at all, sure the detail isn't the best, nor are the horrendous grating voices, but the game isn't too difficult to play and it comes with a rather decent tune as well. So give it a go, you might just like it!